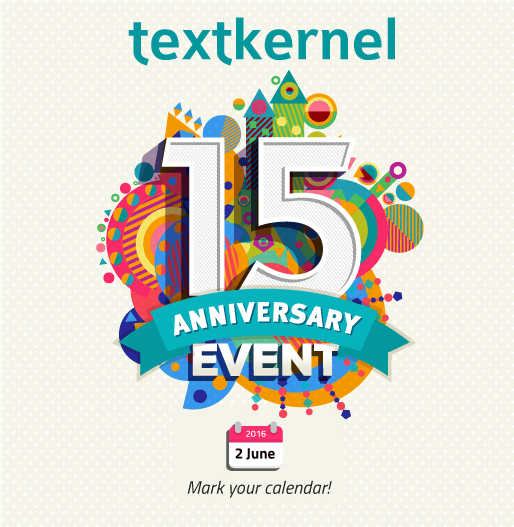 On 2 June, Textkernel organised a conference for its 15th anniversary. 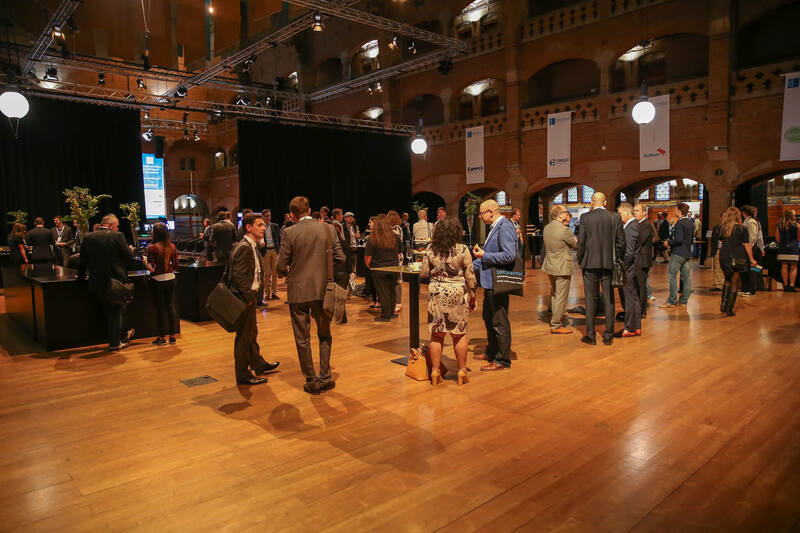 In a few months preparation time, they managed to get over 400 decision-makers interested in technology, recruitment and labour market information together at the Beurs van Berlage in Amsterdam. 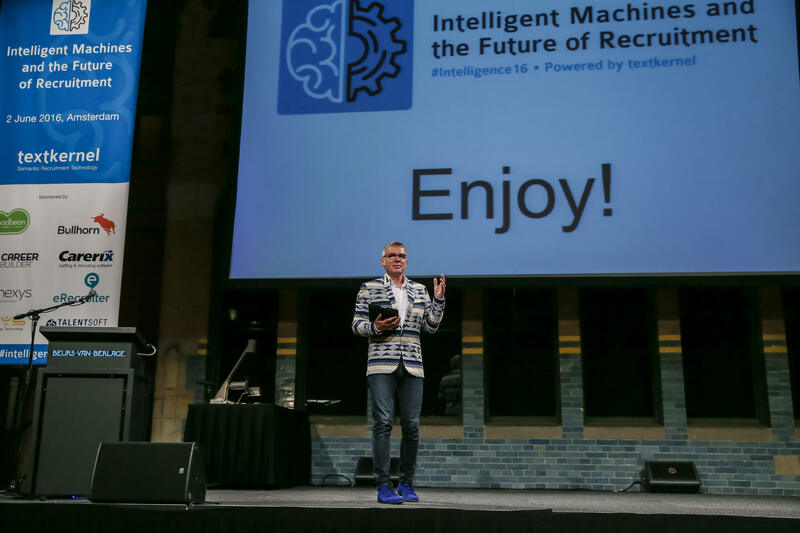 Marketing manager Kim Pieschel gives an exclusive look behind the scenes of Intelligent Machines and the Future of Recruitment. 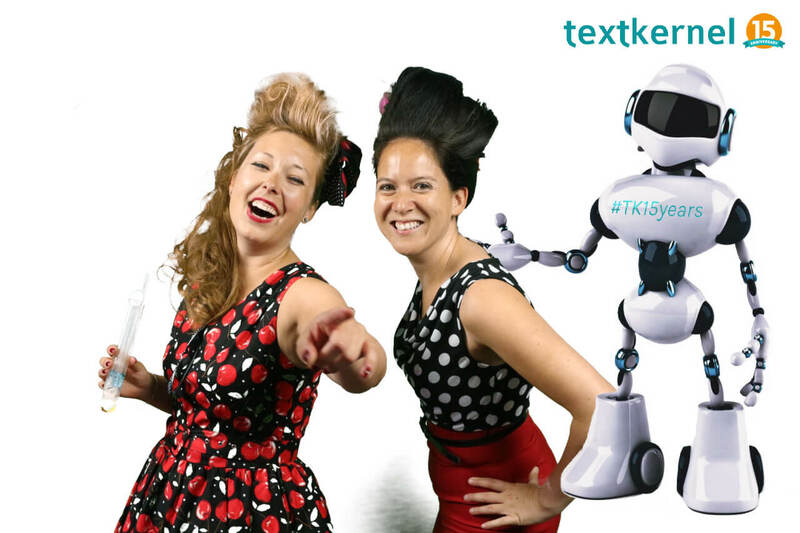 Textkernel will turn 15 in 2016. I was asked the question: how should we celebrate this big event? 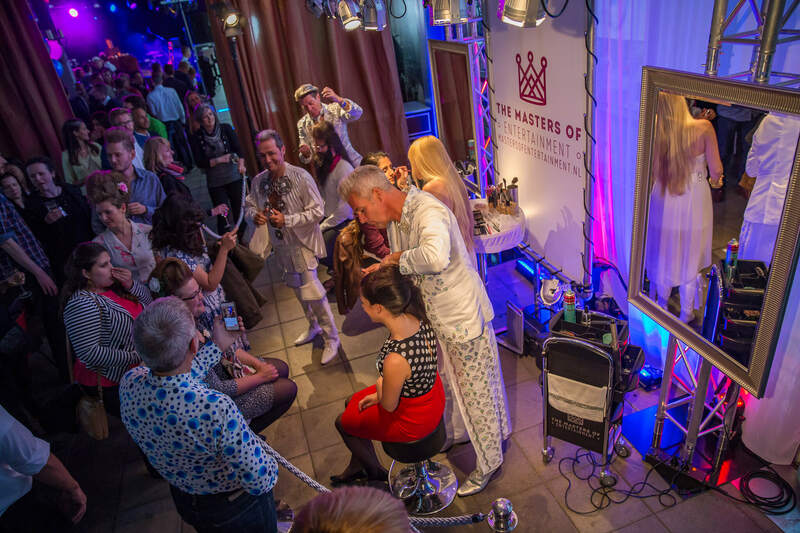 5 years ago we organised a party for our customers, partners and business relations. Now we have more international customers who won’t come just for a birthday party. Maybe we should do something bigger on top of that. Something like.. a conference! First things first. When should our event take place? After checking many calendars we decided on the date: 2 June! Next step: where are we going to have this event? 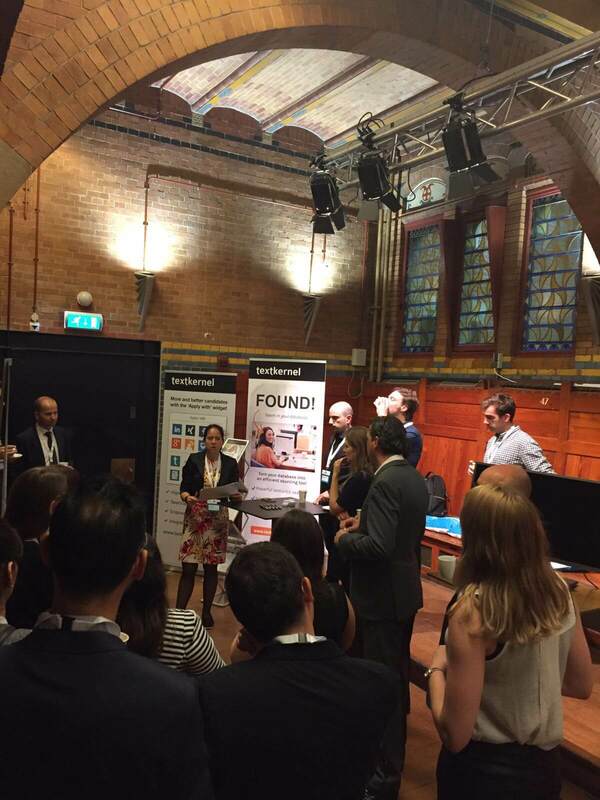 It was clear that we wanted the event to take place in Amsterdam, where our head office is located. But where exactly? How many people do we want to accommodate? Event manager Sven Steverink from S4Events selected several event locations for us to choose from. One of them was the Beurs van Berlage. I immediately fell in love with this beautiful historic building of the Dutch stock exchange. When it was built bij H.P. 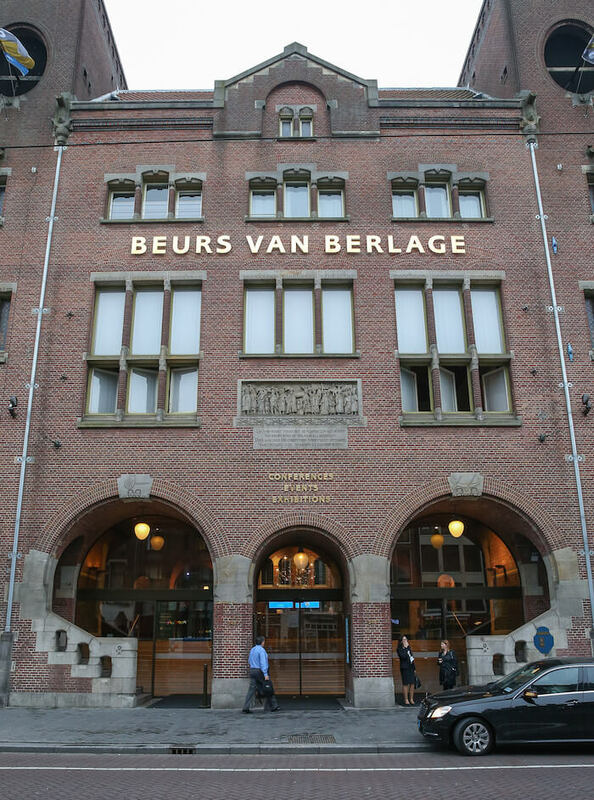 Berlage in the early 1900s, it was seen as controversial, but also labeled as pioneering and of great importance for the European architecture. Its significance made this the perfect place for our event! The date and location are fixed. Now the most important part: the topic and the content. What speakers do we want to invite and more importantly, what should the conference be about? 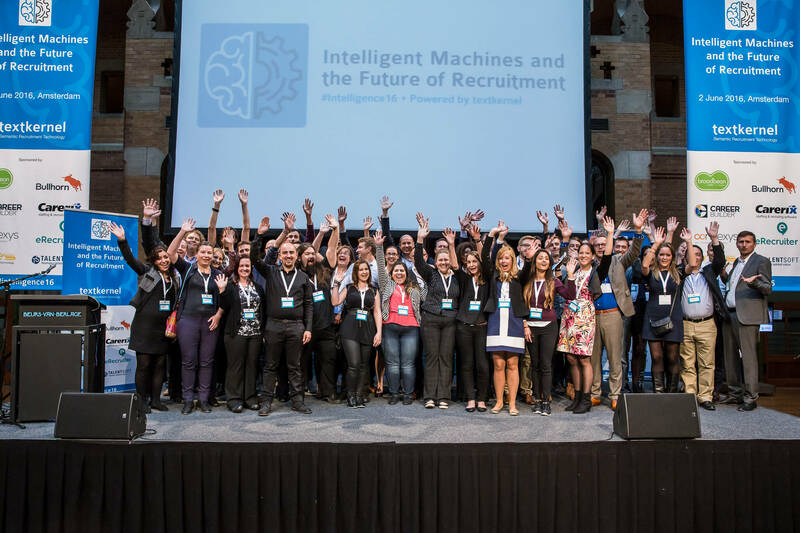 After some brainstorming sessions we came to the decision: Intelligent Machines and the Future of Recruitment. Our designer created a brilliant logo for this. Sourcing guru Glen Cathey was one of the first people we approached. He was very happy to contribute to the event. 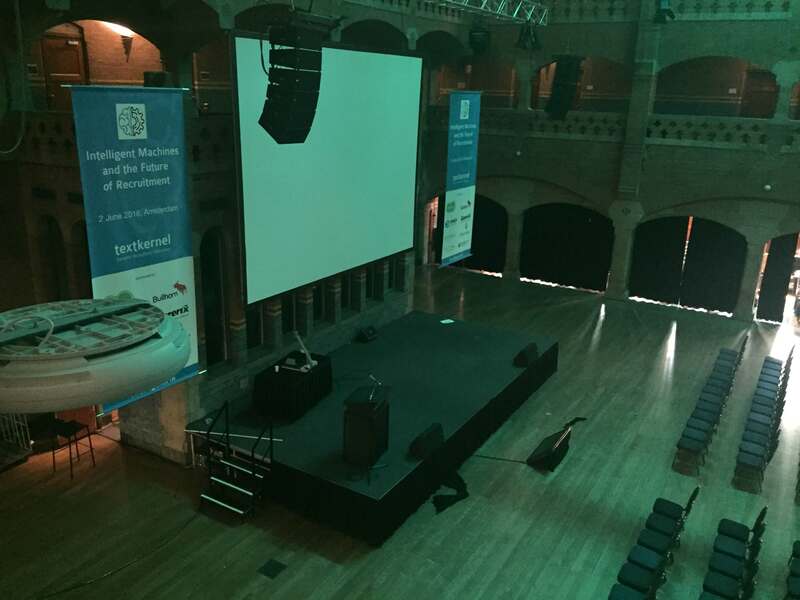 A few years ago I attended a presentation by Armin Trost at HR Tech Europe. His presentation was one of the best I had seen, so I would also want him to speak at the event. Our CEO Jakub Zavrel approached a lot of people in the scientific and academic world and after booking our closing keynote Federico Pistono, slowly but steadily the programme became filled. The conference is turning out to be quite big. It’s a great opportunity for our partners to meet the crowd of decision-makers, researchers and analysts involved in AI technology, recruiting, talent management, and labour-market analysis, so we asked them to sponsor. We were very happy to get Broadbean, Bullhorn, CareerBuilder, Careerix, Connexys, eRecruiter, OTYS and Talentsoft on board! Date: check. Venue: check. Speakers: check. Sponsors: check. What are we missing? Right, visitors! To be frank, we started communicating a little late. While we sent out the save the date in January, it was already April before we really announced the conference. We wanted to paint a full picture of the day and have most of the speakers confirmed, but this meant we needed to start communicating now, fast! With our network, bloggers, sponsors and partners we were able to spread the word and soon the first people started to signup. And a few weeks before the conference, more than 400 people signed up! Only a few weeks to go! Everyone in the team is working hard on getting everything ready for the conference. Getting all information from the speakers, updating the content and creating mailings, ordering printed items such as the goodiebags, pillows, badgecards and roll-up banners and preparing the party we are going to have afterwards. We have to give the event location a final estimate of the number of guests we expect. We think we could end up with 450 signups. With a 25% no show rate, this would come down to about 330 people. If we get 300-350 people at our event, this would make us very happy! Crazytown! Everything needs to be finished. Preparing 350 goodiebags and transporting them to the event location. No, they do not fit in one car. Or two… But in the end we managed to get everything there. The venue already looks great. The sponsor banners are being put up and I’m realising now that it’s really happening tomorrow! After checking out the venue I’m off to dinner with the speakers who are already in Amsterdam. It’s great to get to know them a bit better beforehand. While I would have loved to stay for dessert, I needed to leave earlier, do some final preparations and try to get some sleep for the big day. Good morning! Rise and shine, it’s conference time! At 7.30 my team and I meet at the event. 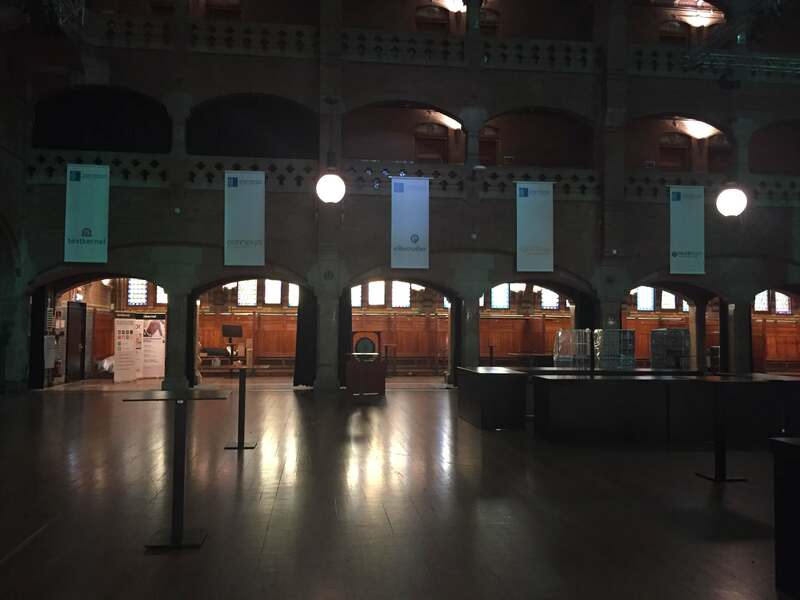 The registration area is set up, our stand is ready and at 8 the rest of the Textkernel team visiting the conference are here. Everyone from Textkernel is wearing a blue badge so attendees know who to ask for help. After a quick briefing, they knew their tasks which varies from registering people or helping out on the stand to checking the rooms and handling the microphone in the back of the conference room. The room is steadily filling with people. I really cannot guess how many people are in. But when Jakub’s opening speech is commencing, the room is packed! We even needed to bring additional chairs! The speakers were great. The plenary sessions were amazing and got great ratings from the audience. Our MC Bas Westland did a wonderful job with introducing the speakers and keeping a tight schedule. And we even had a scoop at the event! Aneto Okonkwo, Product Manager at Google, did the first European demo of Google IO and even showed some features that he just released the day before! Even during the last session, the room was still filled with people. One of the attendees commented afterwards that this was the first conference ever, for which he stayed to the end and actively attended all sessions. After all this work, I’m so proud! I just need to take a selfie :). 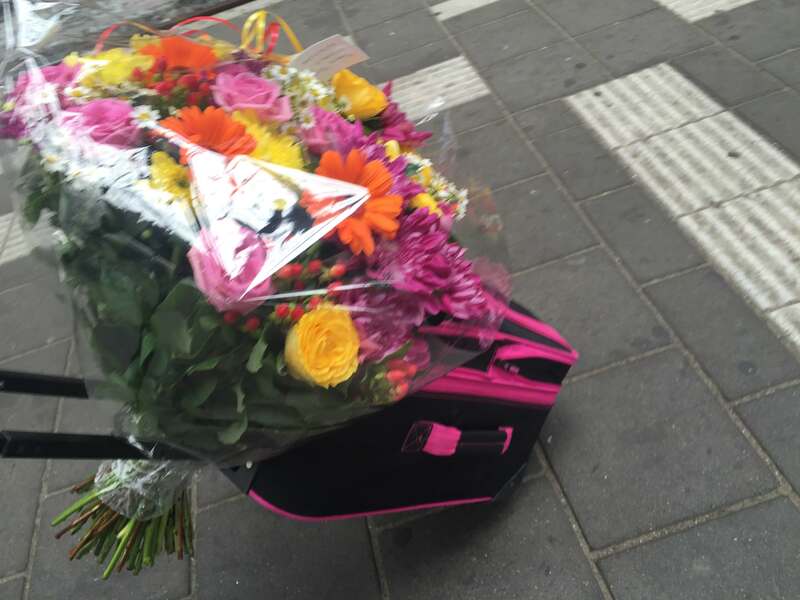 At the end I was asked on stage and they gave me such an enormous bouquet of flowers! If you’re wondering if I managed to get this home by public transport: I did! The conference was a big success and this would not have happened without the help of all my colleagues. Especially the marketing team with Tristan, Sandra and Marte, and Ludmila spent a lot of time and effort in making this a success. But also the colleagues on the spot helped out wherever they could and stepped up without even needing to ask. And we should not forget those holding the fort at the office. It’s time to celebrate! 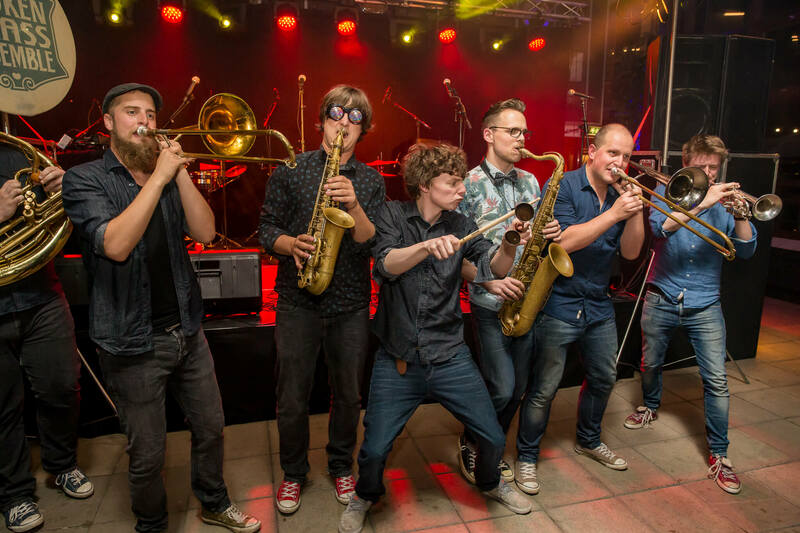 After a successful conference, many of our attendees, other customers and friends and of course the whole Textkernel team with their partners ended the day with a party. We booked De-IJkantine, a nice industrial styled restaurant, directly on the IJ and welcomed our guests to a ‘Vintage Future’-themed party. Although we weren’t sure if guests would actually show up in a costume, some of them did! I had bought a nice dress and was able to get my hair done by the fabulous hair and make-up stylists. The futuristic cocktails and an amazing band did the rest and made the crowd dance and enjoy the evening. 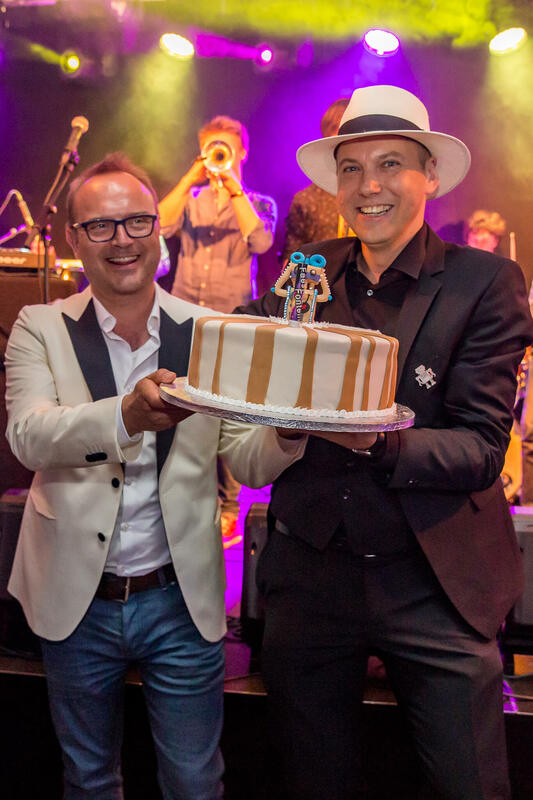 Sandra even arranged for a special surprise: a birthday cake with a Future Vintage team for our CCO and CEO Gerard and Jakub! Happy but exhausted I could look back on an amazing conference and a great party. The big question remained: how many attendees did we get? The final count revealed over 400 visitors! And they turned out to be very happy with the event as well. Our conference was rewarded with an average grade of 8.2 (on 1-10 scale), which exceeded all expectations! It’s been a long few months, but organising this event was a very rewarding job. 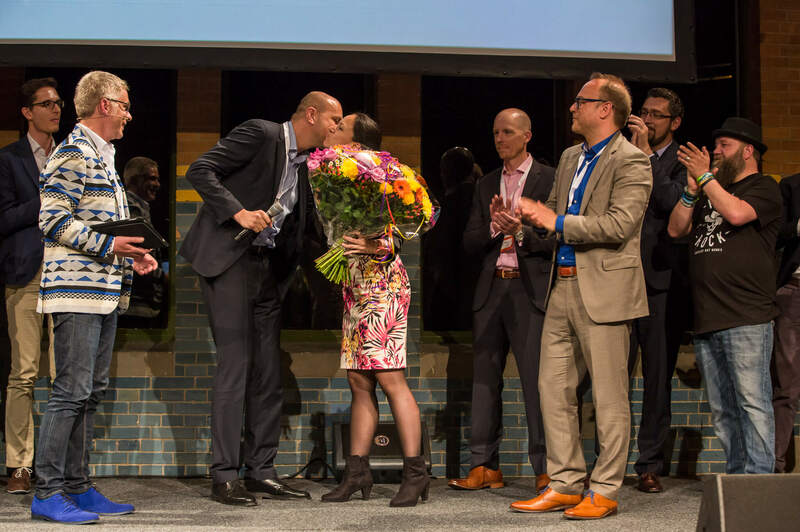 It was great to see so many people gathered and it made all colleagues proud to be part of Textkernel. I hope our event will be remembered for a long time. And now we’ve got 5 years to discuss how we can top this for our 20th anniversary! 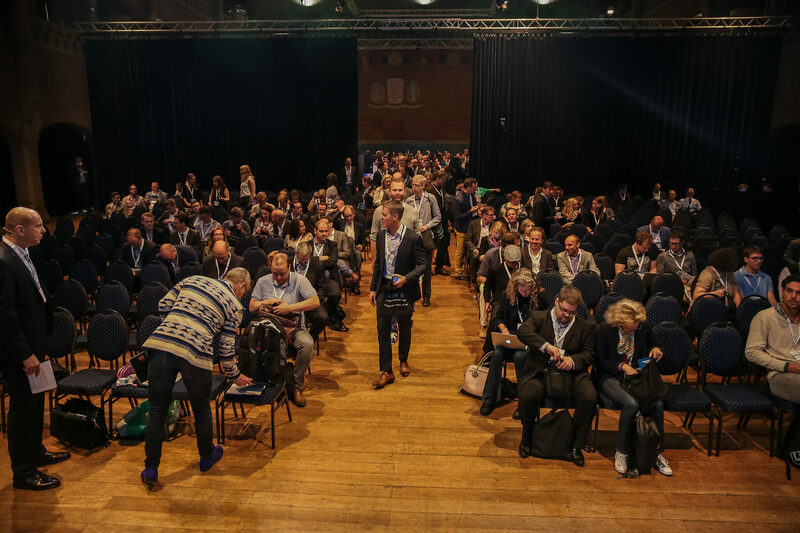 Check out the the presentations on Slideshare, watch the recorded sessions on the main stage on YouTube and check out more pictures of the conference and the party on Facebook! 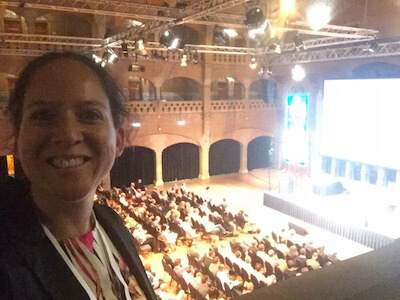 Kim Pieschel is the marketing manager at Textkernel and has been working at the company for over 5 years. Starting in 2011 as the sole marketer in the company, her marketing team now consists of 4 people. 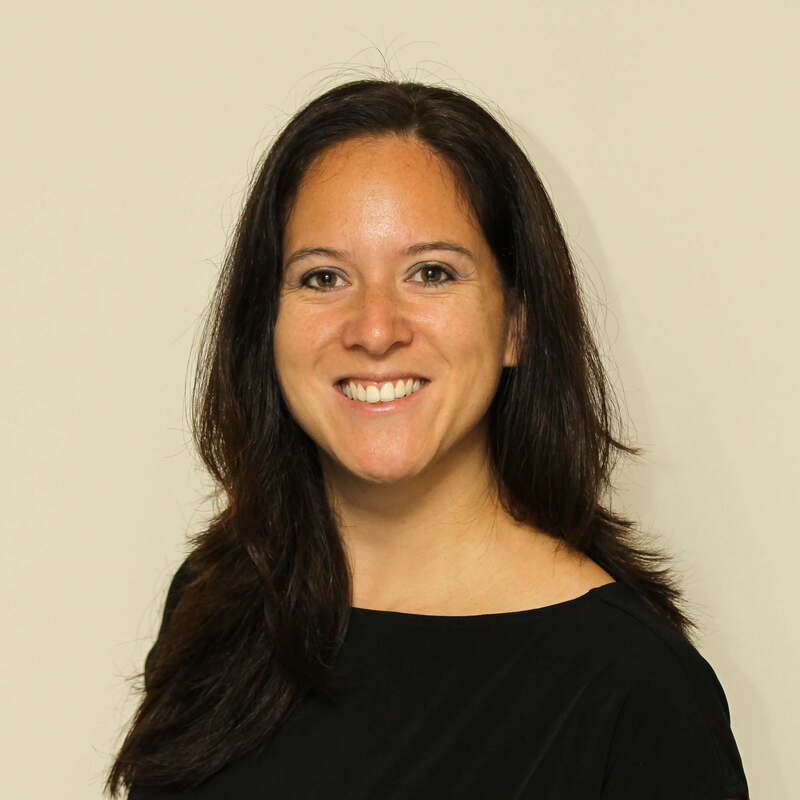 Kim now focuses on coordinating all (international) marketing efforts and the English speaking regions. Born and raised in Oirschot, Brabant, she loves to take her colleagues to Carnaval, and introduce them to other Dutch traditions such as Sinterklaas. 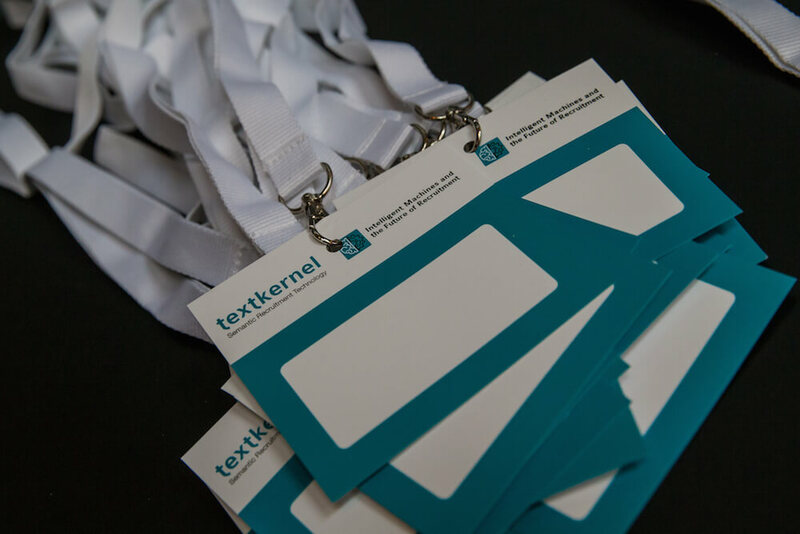 Curious about Textkernel? We are rapidly growing and always looking for smart and passionate people to join us on our endeavours!